A Four Diamond AAA/Select Registry Country Inn. A beautiful inn, in a wilderness setting. 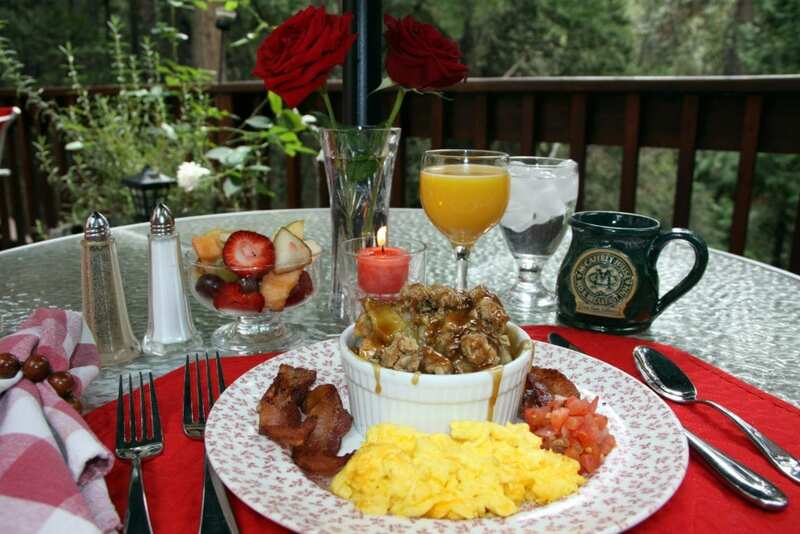 A delightful, warm and charming three-story B&B nestled in a quiet forest hollow of the High Sierras. 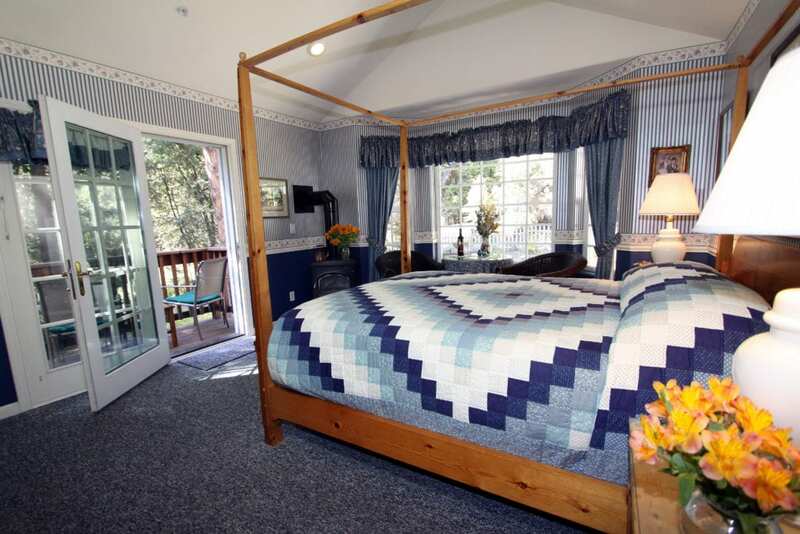 Near Yosemite, wineries, lakes, boating, golfing, hiking, biking, skiing, theater, historic gold towns. Recommended by SF Chronicle and LA Times. 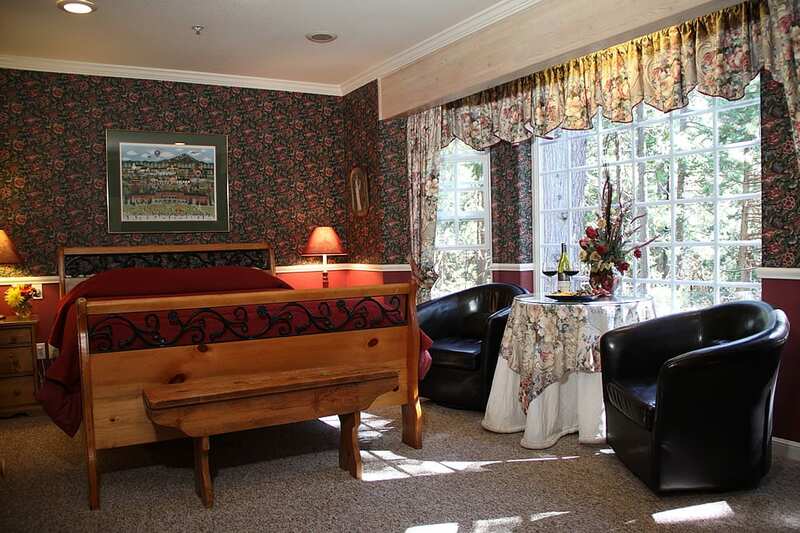 Guestrooms are artfully decorated, have fire stoves, private baths, Flat Screen TV’s and DVD players, phone ports plus exquisite views of the forest that envelops the Inn. 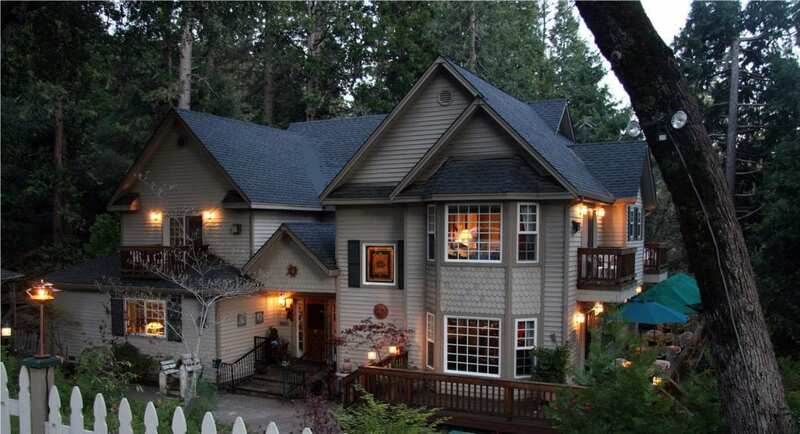 McCaffrey House was designed and built by your hosts, Michael and Stephanie McCaffrey. They had one essential theme in mind: refined luxury blended with comfort and modern convenience. Enjoy the romance of this mountain lodge, the pleasure of a family vacation, take over the Inn for a reunion or business meeting, schedule a wedding or winemaker dinner, take in the views of the pristine forest, diverse birds and wildlife, rays of sunshine or snowflakes in flight.